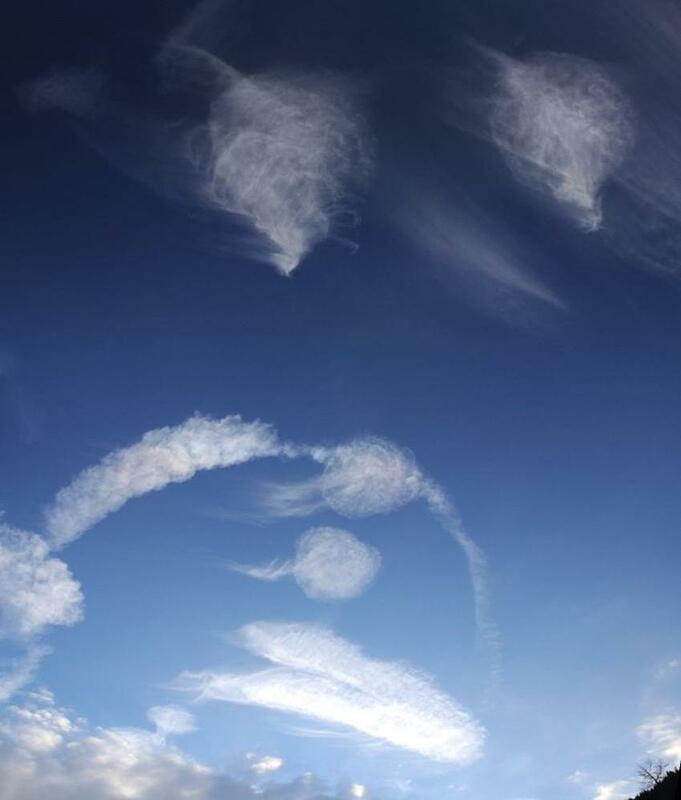 This is the sky above Davos, Switzerland, calligraphed with clouds. 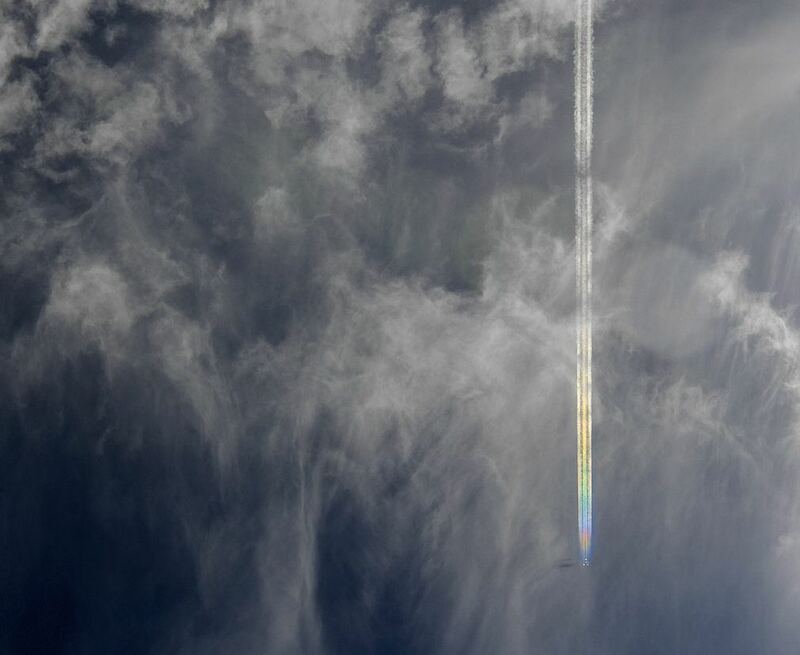 In actuality, they’re remnant contrails from Swiss Air Force F/A-18s jets made some hours before. 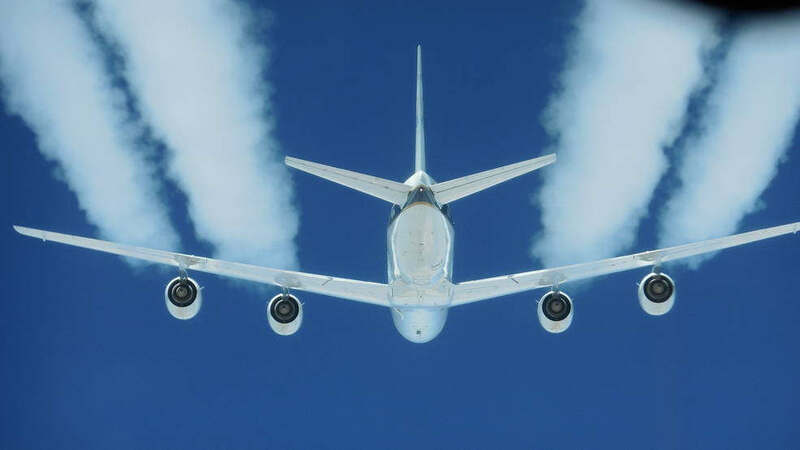 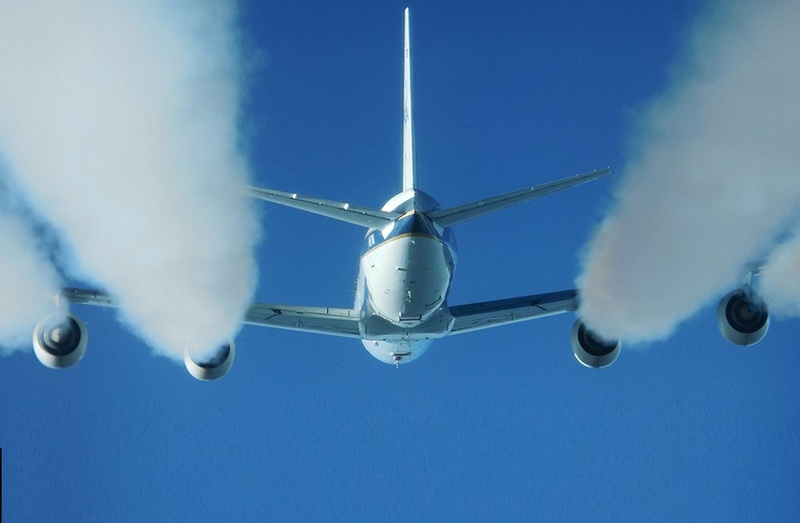 NASA has just confirmed that biofuels reduce jet engine pollution. 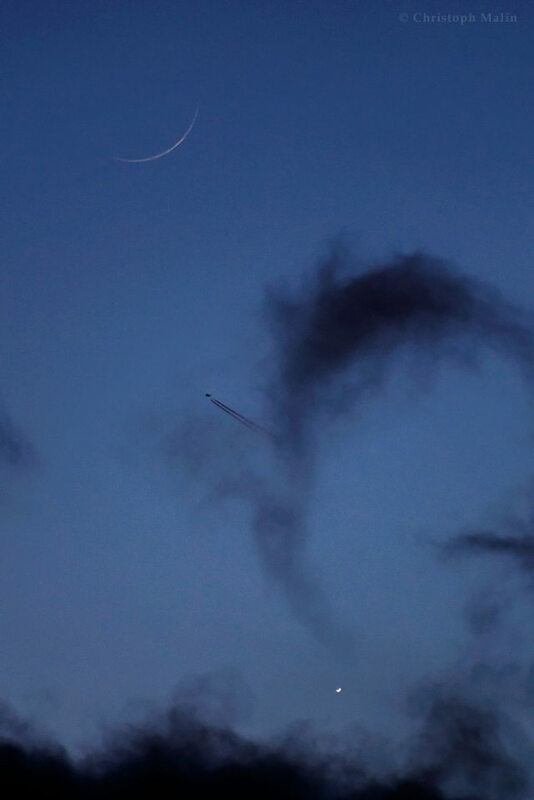 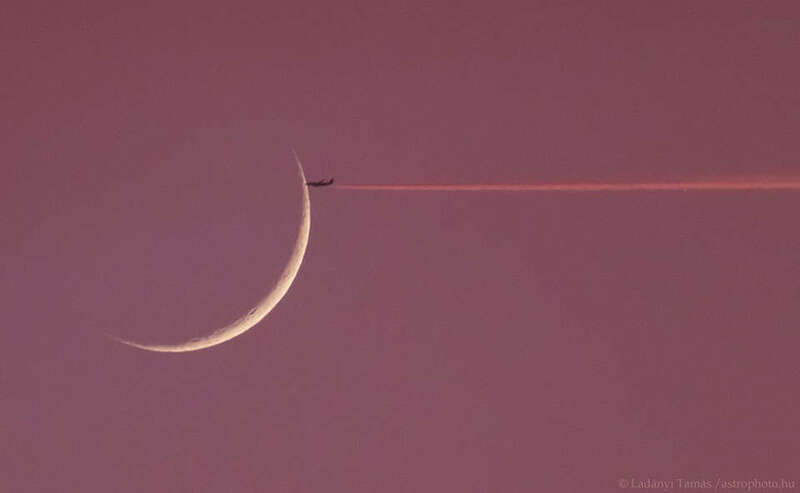 A plane just before crossing the young Moon. 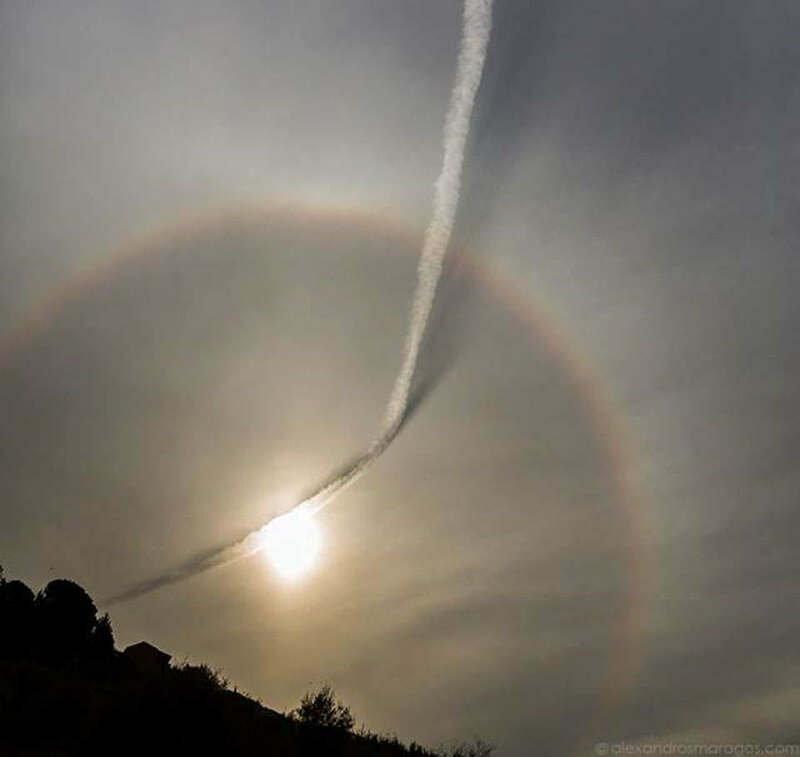 A unique moment, captured by Tamas Ladanyi. 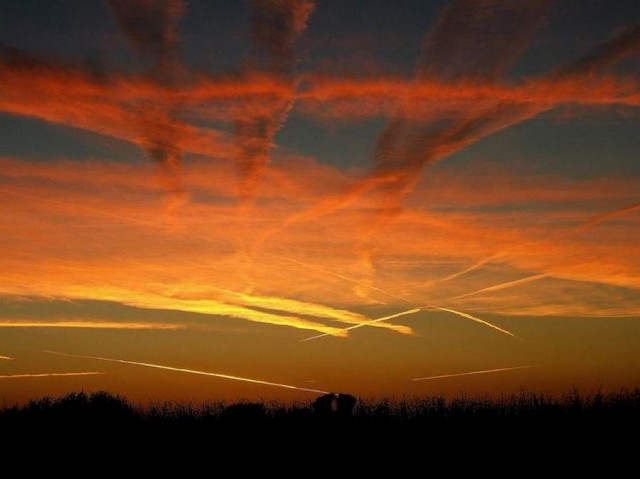 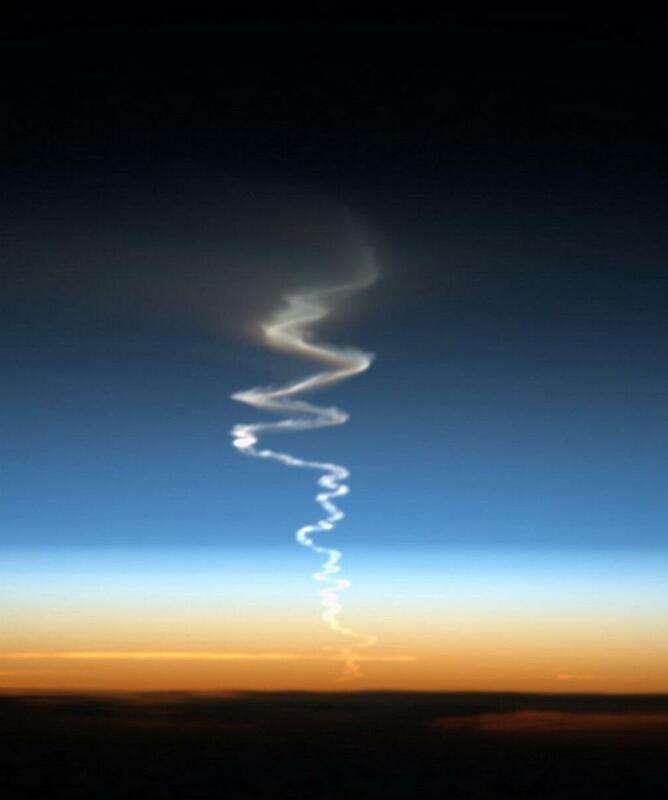 A study conducted by scientists concluded that Chemtrail Conspiracies, are completely fake.